The Perfect Inflatable Centerpiece Attraction! The Riptide water slide is an exciting rental unit that has an amazing design and is colored in bright blues and giant white waves . 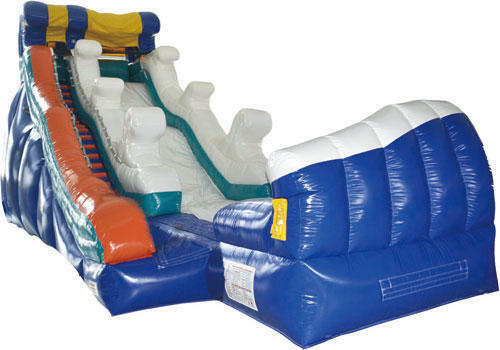 This large dry slide demands attention and will make you the Party Hero when you rent this great inflatable slide for your next event.